The Star of the Show- Of course, there are a million small things that come together to make up the perfect dinner party. But let’s face it, the food is really the star of the show. And speaking of a million things, hiring a dinner party chef could be the best decision you make for your dinner party. Not only will a private chef help you plan your menu, they can also guide you in the right direction of table settings, and the overall ambiance of your dinner party. Be an Amazing Host– Of course the food is the main event. But, the host’s mood truly sets the tone for a dinner party. Your guests are at your party to enjoy themselves and most of all, they are there to spend time with you- preferably a relaxed version of you. Hiring a dinner party chef is a smart way to create and amazing party that you will actually be able to enjoy. Spend quality time with your guests and let your private chef handle the cooking for you. Set the Table– The table settings you choose really say a lot about the dinner party. Is it a casual affair, an outdoor soiree, or an intimate celebration dinner? Whatever the occasion you’ll want to consider multiple factors when setting your table. Make sure the table settings allow for good conversation, adequate space for the food, and room at each place setting so guests don’t feel cramped. Your personal chef can guide you so you can cater your table settings to coordinate with your menu. Turn up the Tunes-Music plays a huge role in setting the mood for any party or gathering. For the best atmosphere, create a play list that suits the dinner party you are throwing and be sure to fill it so that it plays from the arrival of the first guest until the last guest heads out. The Art of Conversation– Good conversation that lasts through the night is a sign of a successful dinner party. Try to seat people in a way that you think will facilitate conversation. When you are introducing guests, go beyond their names with details on their hobbies, or recent adventures. Let guests know if they have something in common with another guests whom they may not know. Cocktails-Have a greeting cocktail ready to be served as soon as guests arrive. This can come in the form of a signature cocktail that you and your dinner party chef design, or you can offer a simple selection of champagne, red, or white wine. All of these touches really come together to create the perfect dinner party. Give them a try at your next intimate dinner, birthday celebration, or holiday event and watch everything come together perfectly. 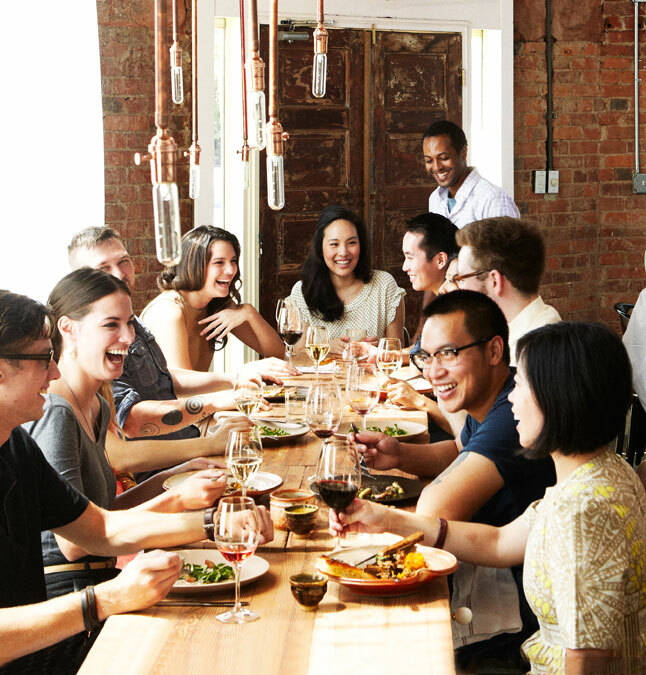 Find out more about hiring a dinner party chef to do all the work for you.